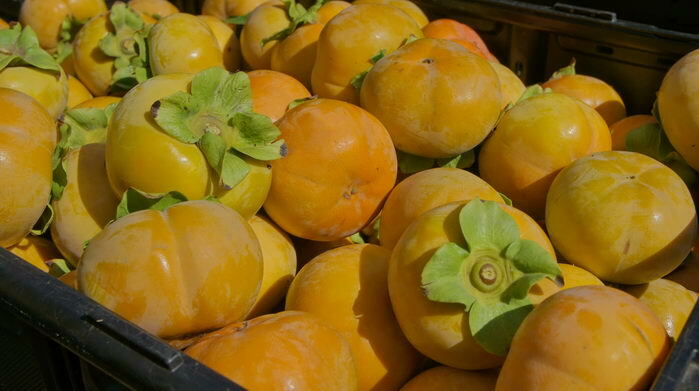 The October Featured Garden, just in time for Halloween, is a Fuyu persimmon and pomegranate fruit pick at Borden Ranches in Pauma Valley. 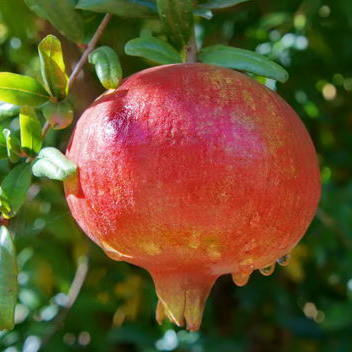 The fruits are wonderful to eat or for holiday decorations. Bring your own sturdy grocery-sized bags. A bag of fruit can weigh up to 50 lbs. Bring your own lunch, beverage and chair for a tailgate party - there is a lovely pond shaded by live oaks just above the picking area. Or have lunch at the nearby Lazy H Ranch, El Rey Mexican Cafe, or casinos.